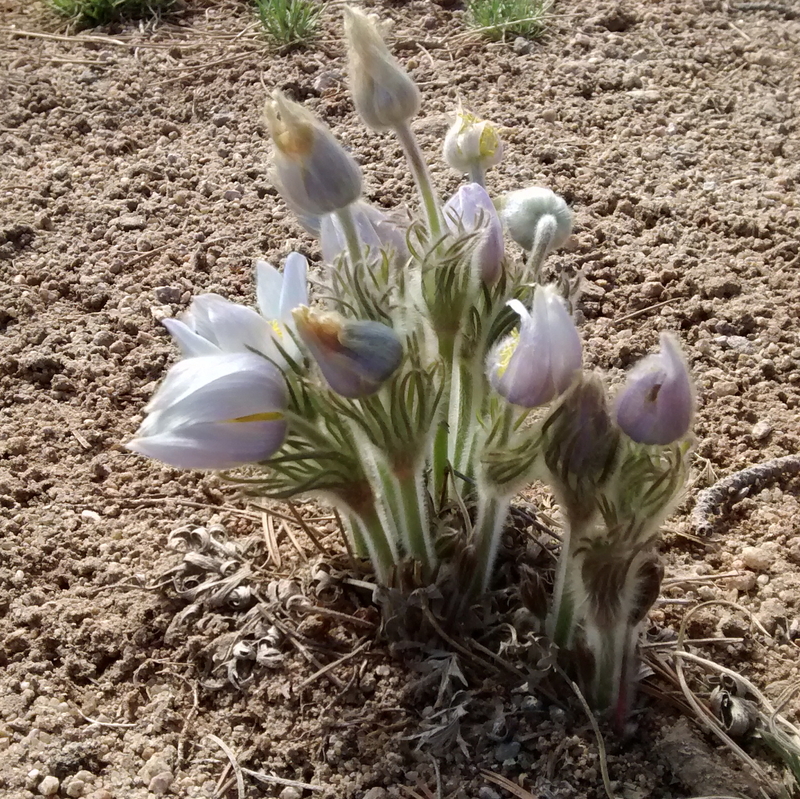 At Easter this past April, the Pasque Flowers, named for the holy day, appeared right on schedule. I took this photograph at the side of the dirt lane in front of my home. You can understand why the pioneers on the prairies and high country called these lavender flowers wild crocus. They are not related to crocus, however, but rather to the buttercup family. These early spring wildflowers are not amenable to garden cultivation. You have to appreciate the wild Pasque flower wherever it appears. There are European cultivars with much bolder colors that can be grown in high country gardens. Pasque flower is the South Dakota state flower. I look for these friendly first flowers of spring every year. 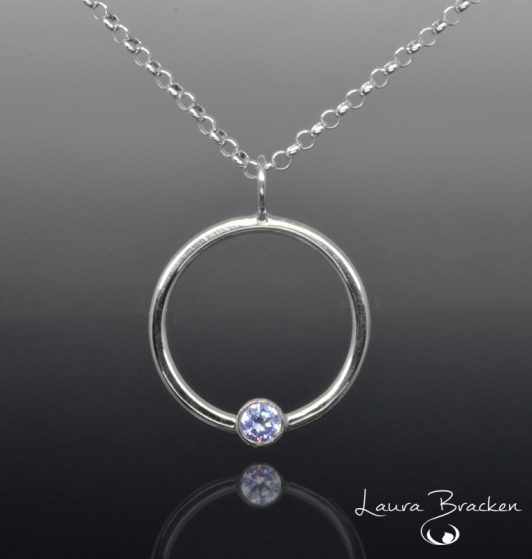 This year, they inspired me to see if I could express their soft colors in my natural stone jewelry. Pasque Flower inspired colors. "First Love" earrings available at PebblesAtMyFeet.com. I love the not-quite blue, not-quite purple, pastel color of the flowers. 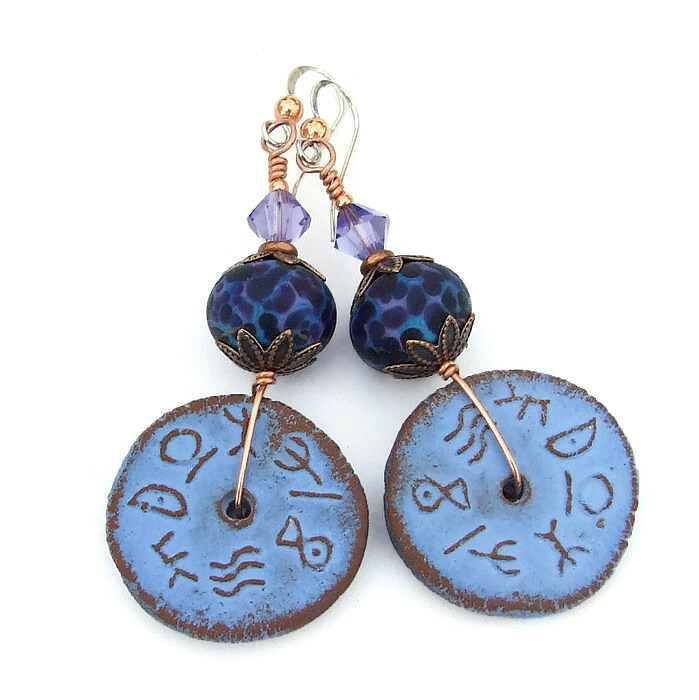 In the earrings shown, blue chalcedony and amethyst nuggets try to capture it. 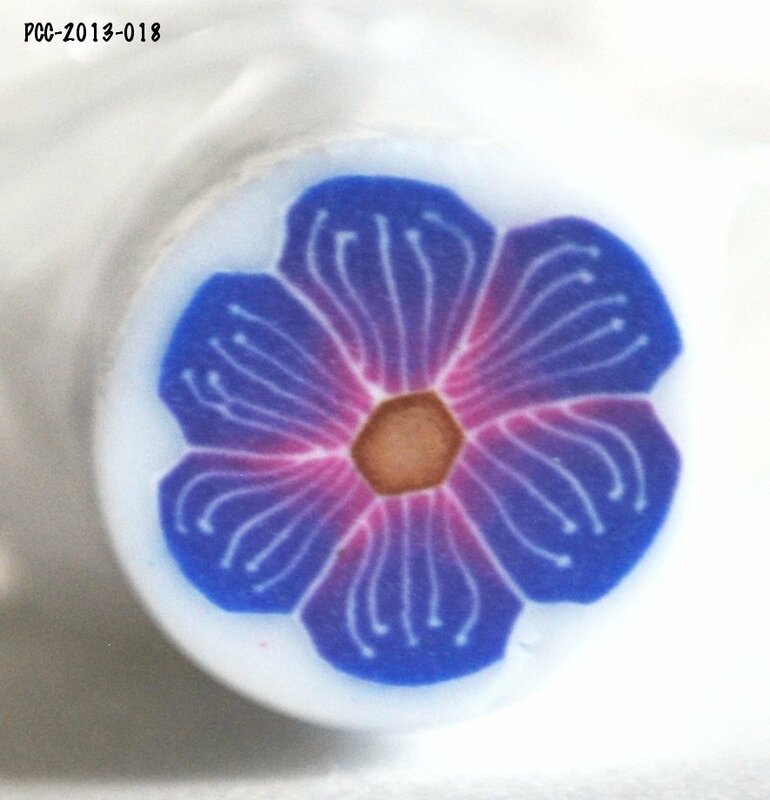 I browsed some shops of my artisan friends to put together a collection in the purple, lilac, soft blue, realm that the Pasque flower expresses so naturally. Here are a few finds. All of these artists are independent makers and sell on various platforms on the internet. I hope you'll visit all of the shops represented. And keep them on your handmade shopping list. 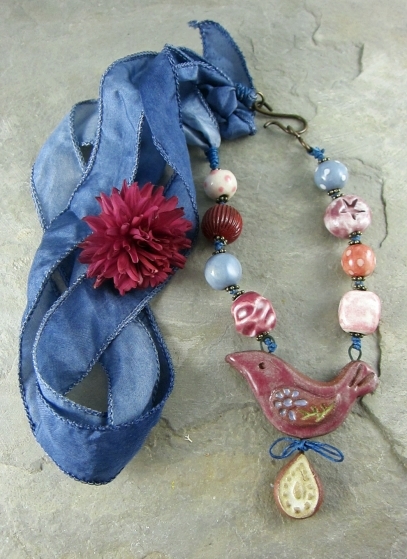 Pastel blue and pastel purple alone and together make a perfect palette for spring, don't you agree? How does Nature inspire you or your creative work? Leave a comment. Thanks! Submitted by Chris Wrinn on Sun, 05/21/2017 - 4:06pm. I thought they were crocus, too. Pretty! Everything is so very artistic here. Thank You very much for sharing my painting! Submitted by Pamela on Sun, 05/21/2017 - 4:10pm. Thanks for stopping by, Chris. 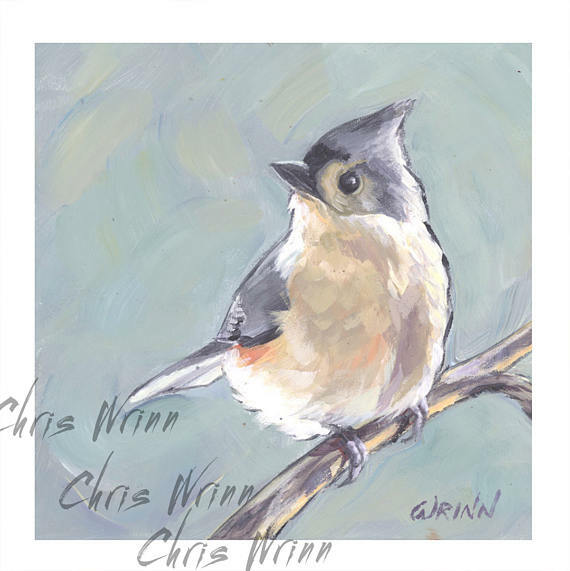 You are most welcome, I love your happy little bird painting. Submitted by Catherine on Sun, 05/21/2017 - 4:32pm. Submitted by Pamela on Sun, 05/21/2017 - 5:13pm. You are very welcome, Catherine. I love seeing these flowers bloom every spring. But when I saw some of the cultivated ones I am inspired to (try to) garden. Submitted by Debbie on Mon, 05/22/2017 - 5:03pm. 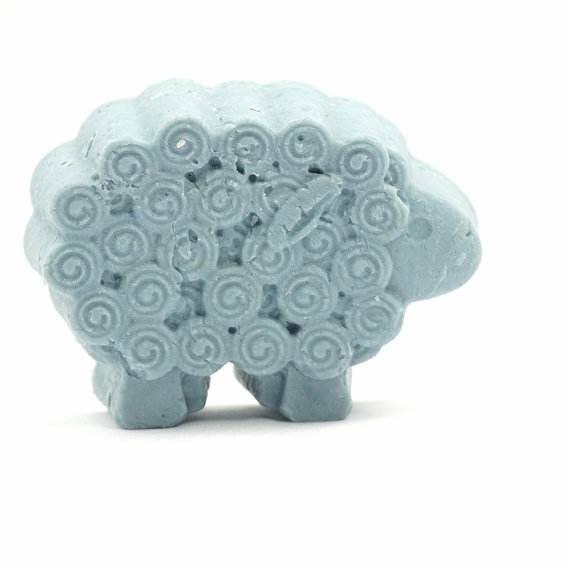 What a nice surprise to have my little blue lamb soap featured in your blog today, along with other lovely handmade items! Thank you! I am fond of the many shades of bluish purple, too. I enjoyed seeing photos of the Pasque flowers, especially because I don't think I've seen that wild flower before. Lovely! Submitted by Pamela on Mon, 05/22/2017 - 5:28pm. Thanks for stopping by, Debbie. That little blue lamb is so sweet and it seemed it belonged in there. I'm pleased to introduce you to one of Colorado's high country wildflowers. Submitted by Julie on Tue, 05/23/2017 - 3:13pm. What a beautiful selection of blues! I just love your pretty flowers and can see why they are so inspirational to you. Thank you so much for including my flower cane among all of this talent. All of my favorite artists are here. :) Have shared everywhere.